Heidelberg has shipped its 1000th Wallbox Home Eco charging device for electric and hybrid vehicles as the company continues its move into electromobility. An in-house development, Wallbox Home Eco is sold in Germany via online platforms such as Amazon and also from various retailers and consumer electronics stores. Heidelberg also has a number of electrical wholesalers and various consumer electronics chains of well-known suppliers on board to sell and publicize the product. The system is aimed at individuals and also at businesses and local authorities that want to use the charging station to recharge the electric vehicles in their own fleets, as well as those of customers and visitors. The power electronics have been developed by Heidelberg itself and are produced exclusively in Germany. 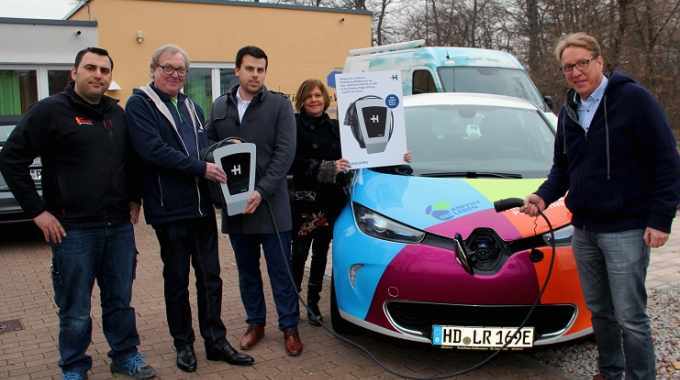 Just over six months after its introduction, the 1000th Heidelberg Wallbox Home Eco will be used to power the electric vehicle fleet of Anpfiff ins Leben, a non-profit association supporting young athletes and amputees. Based in Walldorf, the association purchased the charging device via electrical wholesaler Gebr. Eberhard, a Heidelberg Wallbox sales partner. Heidelberg is now planning to launch an enhanced business version that will support the accurate billing of charging processes for customers such as fleet operators.